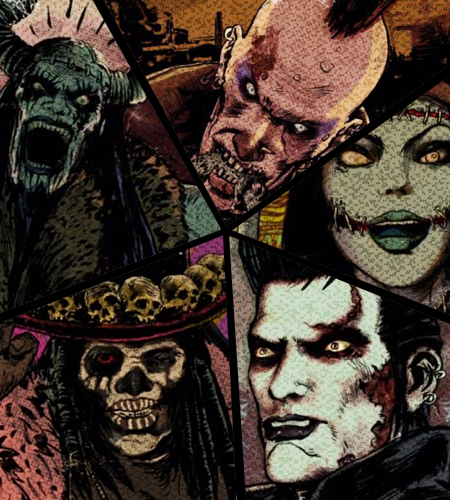 In the previous post, I mentioned the outlandish visual aesthetics, the style and the absurd narrative in Lollipop Chainsaw, however I have discovered additional elements that do compliment the overall gaming experience including the soundtrack, the pop culture references as well as the constant use of skulls. The musical compositions do provide a very unique aspect to the game and the player is able to customise the overall soundtrack. To be honest, I didn’t even know this was possible until I watched a review on Youtube from Angry Joe; this is a useful feature that allows the player to adjust the order or the sequence of the music. According to IGN, the musical compositions were conducted by Akira Yamoaka, an influential video game producer who is renowned for the ‘sound direction’ in Silent Hill. 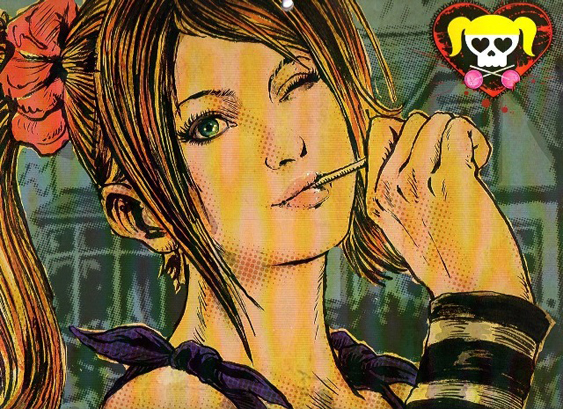 Lollipop Chainsaw features a mixture of rock and roll as well as 80’s pop music including Hey Mickey by Toni Basil and Lollipop by the Chordettes. The music provides a humorous element to the overall game and how could I forgot to mention Juliet’s sparkle hunting? This unusual power allows the character to kill multiple zombies in one hit along with Hey Mickey playing in the background. When Juliet’s Sparkle hunting is activated, the player is bombarded with multicoloured sparkles, love hearts and rainbows; both the visual and the audio effects compliment the character’s outgoing personality. The soundtrack is catchy and I couldn’t stop signing the lines to Hey Mickey for a couple of weeks, while I’m not a huge fan of rock and roll, I thoroughly enjoyed the 80’s pop music. The enemies appear to be inspired by musical genres including punk, goth, heavy metal, electronica, 80’s pop as well as rock and roll. It’s hard to forget the very last boss, a gigantic Elvis Presley look-alike with pink laser eyes who attempts to kill Juliet with an army of explosive zombies or abandoned vehicles. All these different genres / influences are blended together in order to create a unique, dynamic and interactive experience for the player. 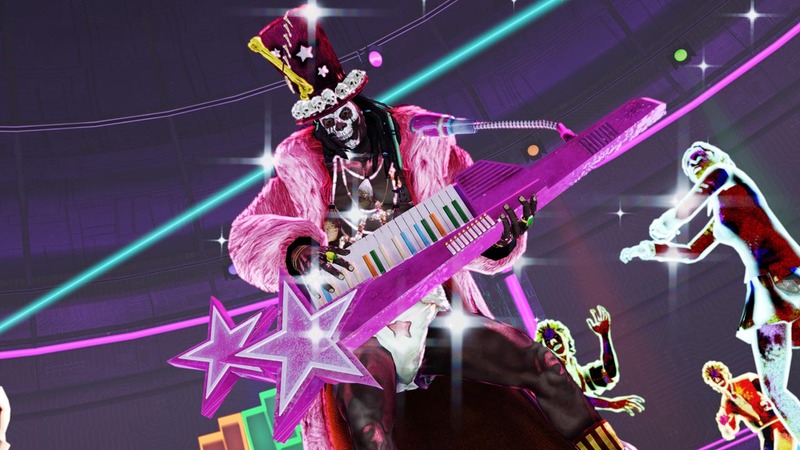 The skull frequently appears throughout Lollipop Chainsaw in all different shapes and sizes; they’re incorporated into the enemies clothing or instruments, they’re displayed within the background, they’re displayed on the very top of Juliet’s Lollipops, there are skulls everywhere! The game heavily refers to contemporary music, design and popular culture; the skull in particular does have a strong connection to these genres or styles and it would be absolutely absurd to disregard such a prolific symbol. It’s interesting to see the combination of skulls, zombies and multicoloured love hearts, these particular styles are merged into one in order to deliver something random, surreal and artistic. I began to wonder whether video games change our perceptions of the skull? From a personal opinion, I view the skull as a visual style or a popular symbol that adds substance and context to a video game. The connection between the skull and immortality is something I wouldn’t even consider while I’m playing a game on the Playstation. As a matter of fact, this is a really interesting question that I will revise in the next few weeks. I have discovered another interesting fact about Suda 51 and his previous occupations that did surprise me. In an interview with Matt Casamassina, Suda explains that he previously worked as an undertaker before he pursued a career within the video game industry and I have often wondered whether these experiences inspired Suda’s recent creations including Lollipop Chainsaw and Shadows of the Damned. 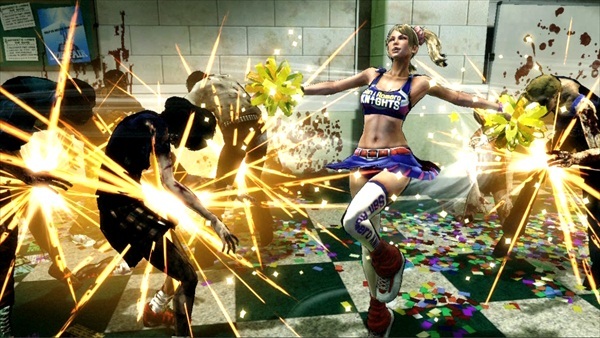 Well there are plenty of influences or references in Lollipop Chainsaw that I am yet to mention, where do I even begin? In the third level the game appropriates some classic arcade games including Pac man and space invaders, this was one of my favourite aspects of the game! 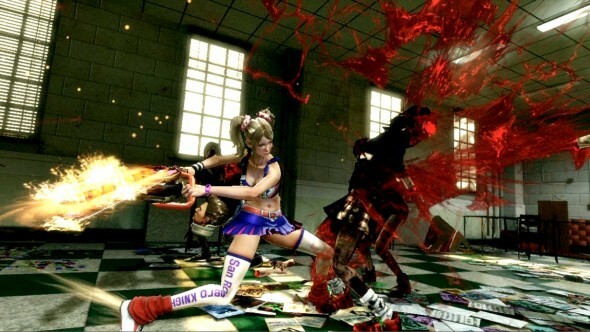 When I played Lollipop Chainsaw for the first time, the game reminded me of Sailor Moon and Dawn of the Dead, quite an unusual combination right? Well this is the most interesting part, the school is named San Romero High and the director for Dawn of the Dead is named George Romero, I didn’t even notice this particular element until the very end of the game. I wondered whether the name was intentional and Game Font mentions that the George Romero has inspired Lollipop Chainsaw. 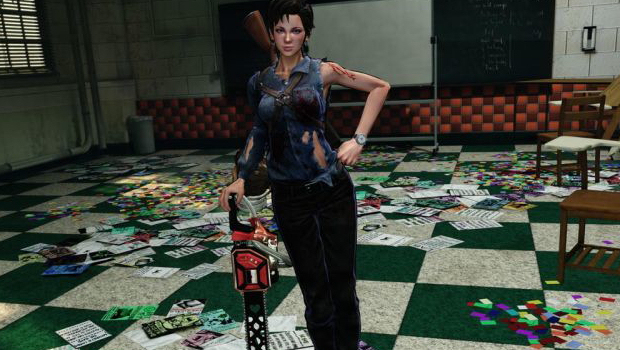 Throughout the game, the high school students mention Bruce Campbell’s name, the main protagonist from Evil Dead who replaces his infected hand with a chainsaw; there appears to be parallel between Ash and Juliet Starling from Lollipop Chainsaw. According to Esperino, the player is able to unlock a costume that is influenced by Ash from Evil Dead, however this is a ‘exclusive bonus’ from EB games in Australia. Here is another interesting fact, I bought a pre-owned copy of Lollipop Chainsaw from EB games, I’m tempted to play the game again to see if I am able to unlock the costume. These are the most recognisable pop culture references, however there are plenty of others that I properly haven’t mentioned or discussed. Angry Joe for instance compares Lollipop Chainsaw to Buffy the Vampire Slayer and Scott Pilgrim, to be honest I would need to write a list with all of the references / influences within the game. It’s hard to recognise the references all at once, you properly need to play the entire game in order to notice all of them. These particular elements successfully engages the viewer and the references invites the player to pay attention to every minor detail. It’s quite impressive to see how these ideas are applied or executed within Lollipop Chainsaw; the overall concept is clever, imaginative and seriously addictive! 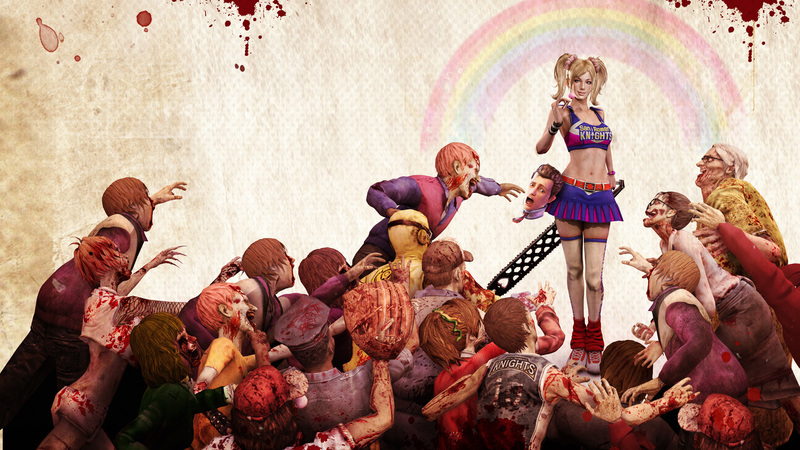 While the gameplay is often slow and unresponsive, Lollipop Chainsaw successfully invites the viewer into a gory, multicoloured universe filled with stylised visual effects, catchy tunes and an absurd narrative. If you are interested in popular culture and you enjoy a decent soundtrack, I would recommend Lollipop Chainsaw for sure! 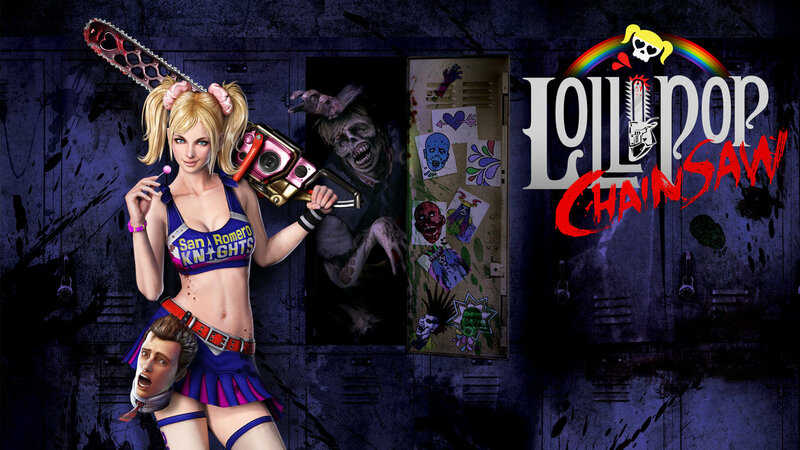 Check out the first review for Lollipop Chainsaw for additional information or you can browse through the Black Calavera Facebook Page.